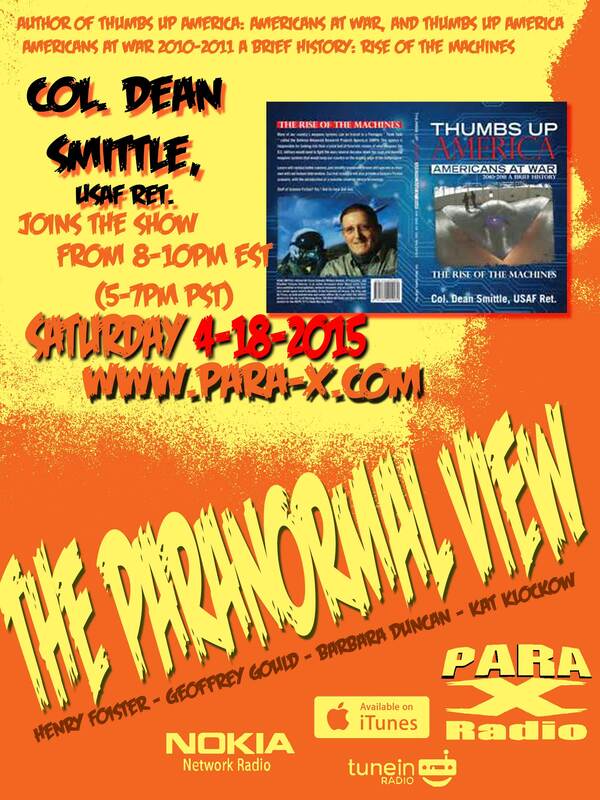 Join us Sat night Apr 18th as The Paranormal View welcomes retired Col Dean Smittle as we talk about Ufo’s and Aliens. We know they are real and are here. This entry was posted on April 17, 2015 at 12:13 pm and is filed under Aliens/UFO, Ancient Mysteries, Announcements, Cryptozoology, From the Hosts, Ghosts & Hauntings, Listener Feedback, Psychic Phenomena. You can follow any responses to this entry through the RSS 2.0 feed. You can leave a response, or trackback from your own site.